Co-led by three master musicians, each with an impeccable big band pedigree, the Clayton-Hamilton Jazz Orchestra has carried on the tradition of Count Basie and Thad Jones as one of the finest working big bands in the world, soon celebrating their 30th anniversary. Saxophonist Jeff Clayton and bassist John Clayton co-lead the hard-hitting Clayton Brothers quintet, and both served apprenticeships in Basie’s illustrious band. Between them, they have amassed a gold-plated résumé that includes work with Stevie Wonder, Gladys Knight, Frank Sinatra, Ella Fitzgerald, and Paul McCartney. Jeff Hamilton established his reputation as one of the great living jazz drummers in the bands of legends Basie, Lionel Hampton, Woody Herman, Oscar Peterson, and Ray Brown, with whom Hamilton performed and recorded in various contexts for nearly two decades. Most recently, he has been the first-call drummer for Diana Krall and leads his own superb trio. 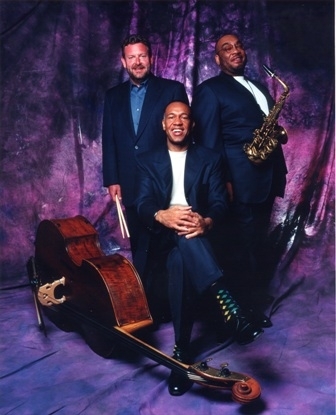 The three Basie alums formed the GRAMMY-nominated CHJO in 1985 with an all-star lineup of Los Angeles-based musicians, and have recorded nine albums with guests including Modern Jazz Quartet vibraphonist Milt Jackson and French singing star Charles Aznavour. Their latest release, The L.A. Treasures Project, is a live session featuring vocalists Ernie Andrews and Barbara Morrison.